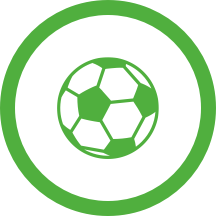 The Fortuna Dusseldorf - Mönchengladbach (Football - Bundesliga) match in 30/03/2019 10:30 is now complete. Fortuna Dusseldorf's Andre Hoffmann has been booked in Dusseldorf. Goal kick for Fortuna Dusseldorf at Merkur Spiel-Arena. Monchengladbach's Tobias Strobl misses with an attempt on goal. Fortuna Dusseldorf have been awarded a corner by Tobias Stieler. Monchengladbach push forward at Merkur Spiel-Arena and Lars Stindl gets in a strike. This is blocked, however, by a determined Fortuna Dusseldorf defence. In Dusseldorf a free kick has been awarded the away team. 4 minutes will be added to the second half in Dusseldorf. In Dusseldorf Monchengladbach attack through Denis Zakaria. The finish is off target, however. Tobias Stieler awards Monchengladbach a goal kick. Monchengladbach are whistled for offside. Monchengladbach's Alassane Plea breaks free at Merkur Spiel-Arena. But the strike goes wide of the post. Tobias Stieler signals a free kick to Fortuna Dusseldorf. Alassane Plea gets his shot on target but fails to score for Monchengladbach. Goal! Denis Zakaria pulls one back to make it 1 - 3. In Dusseldorf, Raffael of Monchengladbach is presented with a shooting opportunity. But the strike is blocked by the covering defence. Monchengladbach have been awarded a corner by Tobias Stieler. Tobias Strobl is booked for the away team. Free kick for Fortuna Dusseldorf in the half of Monchengladbach. Tobias Stieler signals a Fortuna Dusseldorf throw-in in Fortuna Dusseldorf's half. Tobias Stieler signals a free kick to Fortuna Dusseldorf in their own half. Dawid Kownacki is replacing Rouwen Hennings for Fortuna Dusseldorf at Merkur Spiel-Arena. Can Fortuna Dusseldorf get the ball into an attacking position from this throw-in in Fortuna Dusseldorf's half? Dieter Hecking is making the team's third substitution at Merkur Spiel-Arena with Raffael replacing Fabian Johnson. Throw-in high up the field for Monchengladbach in Dusseldorf. Monchengladbach needs to be cautious. Monchengladbach have an attacking throw-in. Tobias Stieler awards Fortuna Dusseldorf a goal kick. Tobias Stieler signals a free kick to Monchengladbach in their own half. Friedhelm Funkel (Fortuna Dusseldorf) is making a second change, with Robin Bormuth replacing the possibly injured Adam Bodzek. Alassane Plea for Monchengladbach has been booked by Tobias Stieler and receives a first yellow card. Adam Bodzek is writhing in pain and play has been suspended for a few moments. Monchengladbach are coming forward and Patrick Herrmann gets in a strike, it misses the target, however. Friedhelm Funkel (Fortuna Dusseldorf) has taken off Kaan Ayhan who seemed to be grimacing with pain earlier. A possible injury. Andre Hoffmann is the replacement. Throw-in for Fortuna Dusseldorf at Merkur Spiel-Arena. Kaan Ayhan for Fortuna Dusseldorf is back on the field again. Goal kick for Monchengladbach at Merkur Spiel-Arena. Tobias Stieler waits before resuming play because Kaan Ayhan for Fortuna Dusseldorf is still down. Tobias Stieler signals a Monchengladbach throw-in in Monchengladbach's half. The second half has started at Merkur Spiel-Arena. Tobias Stieler signals a free kick to Monchengladbach. Dieter Hecking (Monchengladbach) is making a second substitution, with Denis Zakaria replacing Florian Neuhaus. Monchengladbach drive forward and Alassane Plea gets in a shot. Without netting, however. Tobias Stieler blows to end the first-half. Lars Stindl of Monchengladbach smashes in a shot on target. The keeper saves, though. In Dusseldorf a free kick has been awarded the home team. Monchengladbach's Lars Stindl gets his shot away but it misses the target. Florian Neuhaus (Monchengladbach) has received a first yellow card. In Dusseldorf Fortuna Dusseldorf drive forward through Kevin Stoger. His shot is on target but it's saved. Fortuna Dusseldorf are pushing forward but Benito Raman's finish is wide of the goal. Markus Suttner is back on his feet again. Free kick for Monchengladbach in the half of Fortuna Dusseldorf. Play has been temporarily suspended for attention to Markus Suttner for Fortuna Dusseldorf who is writhing in pain on the pitch. Marcin Kaminski of Fortuna Dusseldorf gets in a strike, but is off target. Monchengladbach's Oscar Wendt gets in a shot on goal at Merkur Spiel-Arena. But the effort is unsuccessful. Fortuna Dusseldorf will need to be alert as they defend a dangerous free kick from Monchengladbach. 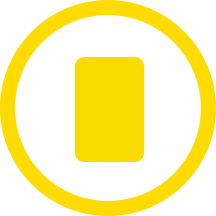 Markus Suttner (Fortuna Dusseldorf) has received a yellow card from Tobias Stieler. In Dusseldorf Fortuna Dusseldorf attack through Oliver Fink. The finish is off target, however. 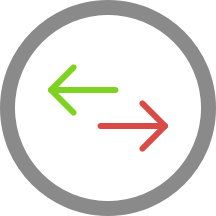 In Dusseldorf Monchengladbach's Fabian Johnson is caught offside. It's now 3 - 0 in Dusseldorf as Rouwen Hennings scores for Fortuna Dusseldorf. Florian Neuhaus for Monchengladbach drives towards goal at Merkur Spiel-Arena. But the finish is unsuccessful. Goal! Fortuna Dusseldorf extend their lead to 2 - 0 through Kevin Stoger. That's a fine assist from Benito Raman. Throw-in high up the field for Fortuna Dusseldorf in Dusseldorf. Rouwen Hennings is on target to give Fortuna Dusseldorf a 1 - 0 advantage. Great play from Benito Raman to set up the goal. Fortuna Dusseldorf have a dangerous throw-in. Tobias Stieler signals a throw-in for Monchengladbach, close to Monchengladbach's area. The match is underway in Dusseldorf. The big names in today's match at Merkur Spiel-Arena have now been confirmed. 52500 spectators have come along to watch today.